Hungarian Vizsla Forums > General Vizslas > General Vizslas > Big Boys? Anyone have a large male? Odin is 7 months old and he's weighing in at 55lbs and 24". He's still lean, ribs visible, not overweight by any means and still hasn't filled out. He's gonna be a big boy, that's for sure, but I was wondering who has big males and what they weigh in at? WOW! Laszlo is like 13 weeks @ 21lbs two days ago. He had some round worms early on so that may have slowed his growth a bit. He seems HUGE to us!!! We keep saying..."Where's our puppy at!!!" What a handsome man Willie boy is! Well, thank you! Naturally, I think he is pretty handsome, too. (Hope it works.) 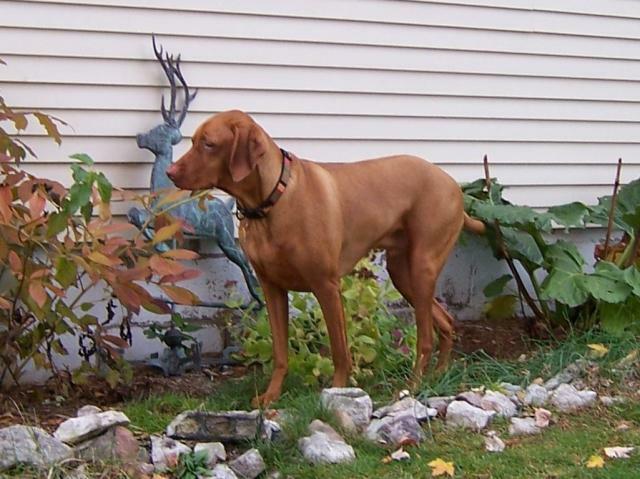 Anyway, for those of you who might have missed it, it is very entertaining, and shows the larger Vizslas. man, Carol said she thinks maybe 60ish.....Flash the daddy is small @ 48lbs all muscles!!!! my wife will **** her pants if he get s to be 70lbs!!! lol!!!! i don't care the bigger the better if healthy! i'm a big boy too!!!! I took the liberty to plot Odin's weight data over Bodhi's growth chart. Although I'm not sure what can be extrapolated from both data sets other than Odin is still growing. I took the liberty to plot Odin's weight data over Bodhi's growth chart. 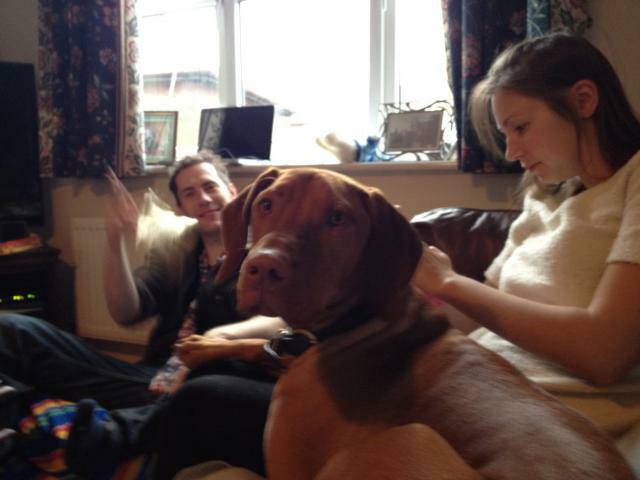 This is my husbands brothers dog bruno (taken at xmas time) he is just over a year old and weighs 77 lbs! Sorry about the rubbish photo he never says still! Think H weighs about 30lbs at the moment (18wks). Everyone says he's going to be a big boy as he has massive feet! Wow! Where do these monster Vs come from?